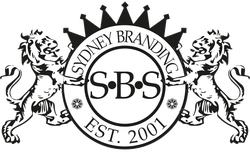 Sydney Branding Services uses a propriety CMS that is easier-to-use and more secure than many of the open source CMS. We believe that clients want to be able to make updates and changes to their websites without having to go back to the developer. Further, they want an easy and intuitive interface. Our CMS is extremely simple to use. It's intuitive and logical, with all the functionality you need and none of the useless information that you don't. Best of all - it's all WYSIWYG. The changes you make on screen will be the changes you get on your live website. Just publish with a press of a button. It's easier to create columns by simply dragging one element beside another one (i.e. drag a text box beside a button). Doing this will create two columns with each element being in it's own column and a column divider line between them. Since columns are created automatically, the Columns Element is no longer available to add on its own. To adjust the width of a column simply drag the column divider line. To help keep column widths consistent between pages there is a 12 grid system that the column divider lines snap to. If you want custom widths you can override this grid by holding "Ctrl" while you drag a column divider line. Clicking on a column divider line will show the "Move", "Copy", and "Delete" options for the set of columns selected. We now allow you to delete a set of columns without having to delete all the contents within them. In order to ensure you don't accidentally delete extra content there is a double prompt and tell you exactly what you will be deleting. The text+Image element has been removed and now you can simply drag an image into and out of any text object. This will allow for even greater flexibility. To help make it easier to add blank space within a page a new Spacer Element has been added. You can place this anywhere on a page to add space both vertically and horizontally. You can also adjust the size of this element to best suit your design, just drag from the bottom bar.